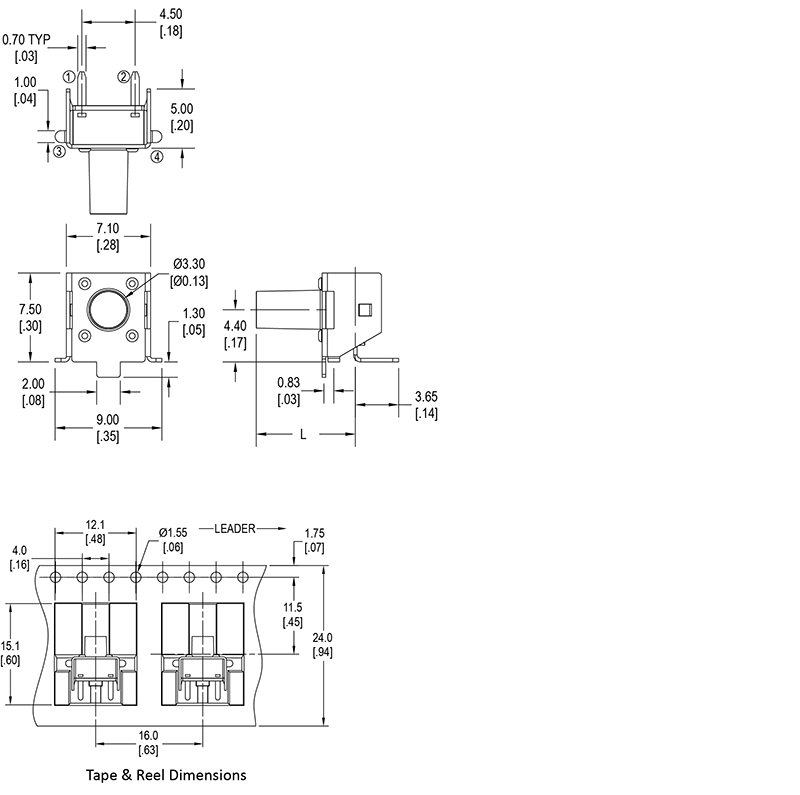 This is a right angle surface mount tact switch with multiple actuator length options ranging from 3.15mm up to 11.85mm. Actuation force options are 160gF and 260gF. The CS1102V offers silver-plated copper alloy termination materials. The SPST tactile switch features an electrical life of 100,000 cycles.